At our 2019 General Meeting in Nashville, TN we honored 8 organizations including Advisors, Third Party Administrators and a Steward for achieving 10 years of CEFEX certification. See our News Release here. CEFEX-certified firms adhere to a standard representing the best practices in their industry. The standards include specific criteria which have been substantiated by regulation or written in consultation with leading firms. A successfully completed standards-based assessment results in certification. This is written assurance that the firm meets the requirements of the standard. CEFEX certified firms voluntarily undertake annual audits by independent expert analysts. This continually verifies their adherence to the applicable standard and is supplemental to oversight performed by regulators, or financial auditors. A CEFEX-certified firm places its clients' interests first. Through structured processes, the firm will realize cost savings through improved quality, enhanced client satisfaction and increased market share. From a financial perspective, end clients will realize investment objectives sooner and achieve a better alignment of investment services to expenses. CEFEX certification increases TRUST. In a time of financial industry change, trust is critical to firms which provide fiduciary functions and those that provide support services. Investors and Stewards of retirement plans, endowments and foundations are continually looking for proof of integrity. Annual audits maximize professionalism within the firm because management is required to keep up-to-date with best practices. The CEFEX audit fosters a culture of continuous improvement within the firm and increases transparency and accountability of the management team. CEFEX assessment process is based on the international standard, ISO 19011: Guideline for quality management system auditing. The assessment is evidence-based, and all work is reviewed by the CEFEX Registration Committee to ensure impartiality and consistency. The assessment typically includes document review, client file sampling, on-site visits and interviews with senior representatives at the firm. The assessment is conducted by CEFEX Analysts who must hold the Accredited Investment Fiduciary Analyst ® designation and a minimum of the ASPPA 401(k) Administrator (QKA) designation for ASPPA certifications. CEFEX Analysts maintain annual assessment training. Where applicable, the assessment methodology includes questionnaires on regulatory matters, developed by expert attorneys. 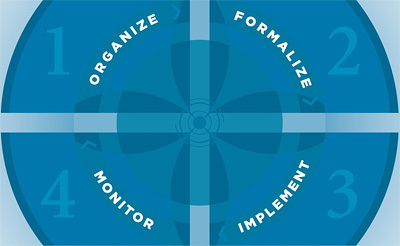 The CEFEX certification standards are organized according to a four-step management process. The steps are analogous to the global ISO 9000 Quality Management System standard, which emphasizes continual improvement in a decision-making process.